Here we are with an important episode of the Million Dollar Case Study. 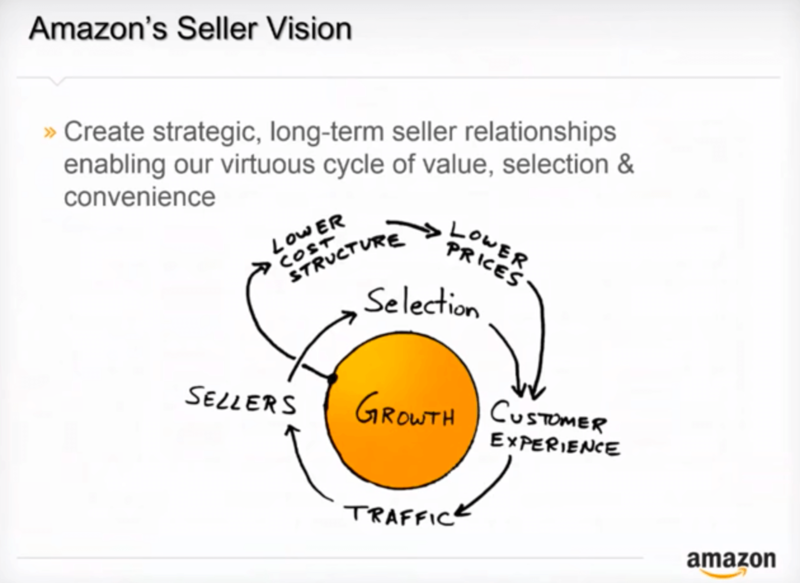 This session covers a range of up to date Amazon best practices for sellers. The best part is, we’ve invited Amazonian and entrepreneur at heart Joel Lentz to share his best practices and top tips. Sound advice from someone who knows the inner workings at Amazon seems like a must-watch to me! Just a little bit about Joel: He works for the Business Development Team at Amazon, and prior to that has worked for other Fortune 500 companies since finishing his Master’s degree in Business. Joel has dabbled with selling on Amazon himself and has plans to take this further. Disclaimer: the nature of beast that is Amazon means that some of the facts in this webinar could change. But this aims to provide some hard and fast rules that all Amazon sellers should follow. To give you some background about Joel’s role at Amazon, he explains what life is like on the Business Development team doing account management. This means that the team are regularly speaking with brand owners, manufacturers, wholesalers and resellers and helping sellers from all business models to get onboard with Amazon. Ultimately, to make Amazon’s offering stronger and the most competitive. Reason number 2 is particularly relevant to a lot of Jungle Scout viewers, because Amazon are welcoming to brand owners, product inventors and sellers who source from overseas. Joel covers Amazon’s mission, which is to be the most customer-centric company where people can discover and buy anything they want. This can sometimes cause frustrations for FBA sellers. You only have to look towards a popular Facebook group for Amazon sellers to see that this is true. Joel makes a great point that if you are ever frustrated with Amazon, it’s most likely because you feel like they are putting the customer before you as a the seller. This is a double-edged sword, but as Joel explains, one of Bezos most influential standpoints is to “start with the customer and work backwards”. This is a good thing for sellers because it accounts for Amazon’s success, growth and stability as a platform for you to build or expand you business upon. So there’s some reassuring facts and figures from an Amazonian. Now let’s move on to the good stuff & dig into some Amazon seller best practices. Stop the press – a quick announcement! Joel shared a quick explanation of the three-year running Amazon Prime Day – where Prime customers get access to the biggest Amazon sale day, with deep discounts on retail prices. Here’s the important part, Prime Day will be in July (Date TBC) and the cut off for sellers to submit deals is May 21st! You will be able to research this in seller central. If you are competing for the buy box, these are the key factors that come into play: Price, customer reviews, low order defect rate and shipping charges. Interestingly, Joel mentions that you can contact an account manager, if you have one, to get early buy box eligibility from day one. Useful tip for any wholesalers in particular. Now, if you are a private label seller with a brand registered product, you should get 100% as the buy box as the only seller. For those of you following this case study, and taking steps to launch your own brand product, this applies to you. In the Q&A we discussed what Private Label sellers should do if someone else sells the same product (aka: “listing hijacking“). Joel’s advice in this scenario is to always do a buy test. That is, order the suspected counterfeit product to see it in the flesh. This then arms you with evidence that you can give to Amazon to resolve the situation. Joel takes some time to discuss Sponsored Products on Amazon, or Amazon PPC – offering this as a best practice tip for successful launches as well as maintaining a profitable product during it’s life span. He explains that only 30% of Amazon shoppers click past the 1st page of search results, making Amazon PPC a sure-fire way to bypass the waiting game, get to the first page, and increase sales velocity. Another interesting fact that Joel confirmed is that if you are competing for the buy box, then your ads will only show when you are winning the buy box. 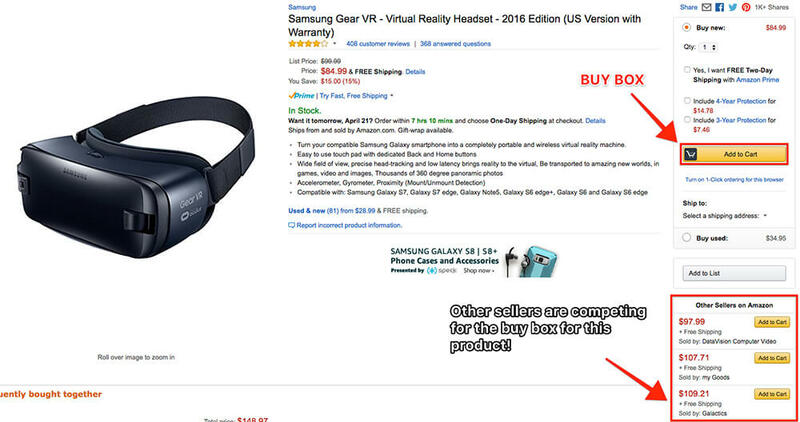 Additionally, having Sponsored Products is likely to increase the amount of times you win the buy box. On the other hand, if you are a private label seller winning the buy box 100% of the time, you can leverage PPC to get more people to see your product for a wider range of keywords. Amazon Marketplace: Where do you fit? Joel specifically recommends starting with FBA (Fulfillment by Amazon), instead of MFN (Merchant Fulfilled Network, also known as FBM or fulfilled by merchant). Use FBA to scale your business and outsource shipping. Apply for Enhanced Brand Content – this allows you to create more visual product listings, with text formatting and images in product descriptions. Consider Amazon Exclusives – this is a paid for service for sellers who sell exclusively on Amazon and do not have brick and mortar or other online distribution. The benefits include adding videos to your listings and other tools. As discussed above, set up Sponsored Products / PPC ads to maximize exposure. *New information about Brand Registry: Amazon has temporarily stopped applications until the beginning of May, 2017, when they will roll out a new Brand Registry with more features to protect sellers. One of the new requirements will be to get your product Trademarked. At the time of publishing, Joel was not sure if a pending registration for a Trademark would suffice. 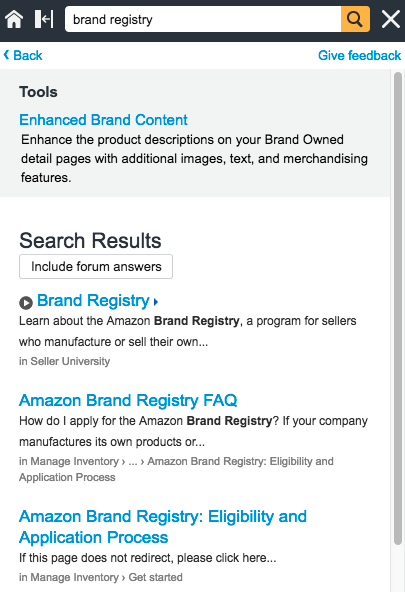 Keep an eye out on the Amazon Brand Registry page within Seller Central for updates. This won’t affect existing brand registered products. Should I get an account manager? What is your revenue goal for the year? What other marketplaces or website do you sell on, if any? Spending a bit of time looking around this resource center is actually pretty useful, and can usually give you insight for a wide range of problems. It has to be said, I have used seller support a few times recently, including the call-back feature and managed to find help successfully and quickly. So definitely try this out if you really are stuck! Additionally, why not join our Facebook group, FBA Competitive Edge, it’s a wonderfully helpful community. 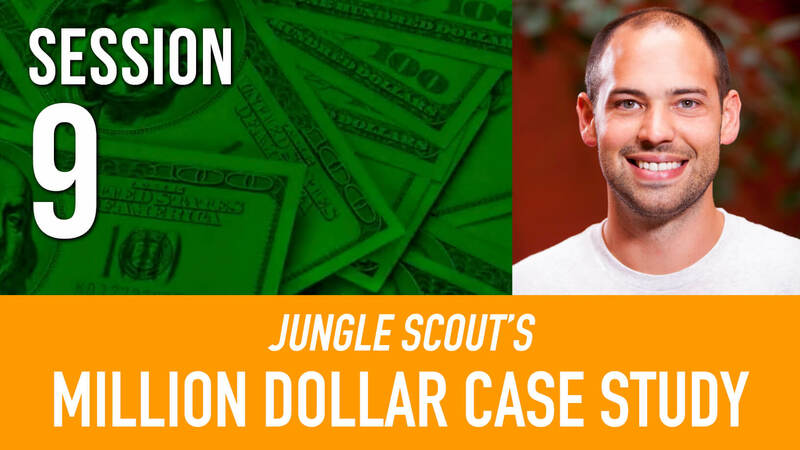 Thanks for joining us for Episode #9 of the Million Dollar Case Study. Hopefully you have taken some good insights and inspirations from this session. Make sure to stay tuned next week for episode #10 where we will be diving into Tax & Legal structure for Amazon sellers. Joining us we have Stewart Patton, US tax attorney, expat entrepreneur and founder of U.S. Tax Services. He is going to be covering a ton of knowledge on the topic and answering your questions, don’t miss it! Join us on Wednesday, April 26th at 8p ET / 3p PT. If you’re already signed up we will send you a reminder. If not, sign up for the full case study below! 1. We don’t have account managers in the baby category. Additionally, if you are not based in the US, then we can’t help you with account management. 2. If you have an account that you have listed a product on (even if you have not made a sale yet) then you don’t qualify for an account manager. 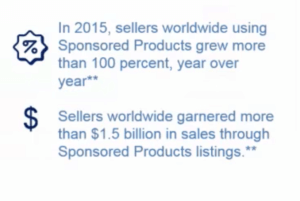 We only work with new sellers that have not listed a product. 3. You must be a US based seller in order for account management on .com. This means you must have a US bank account and US address in order for us to work with you. 4. You must have the cash flow and potential to sell at least $400K of inventory on Amazon in the 2017 calendar year. If this is not realistic for you, we can’t dedicate time to account management. What are your products and how many SKU’s do you have? Where are you sourcing from and when will the inventory be in your possession? What was your annual revenue from last year and or what is your revenue goal for this year? What email did you register with if you have already signed up but not listed yet? What is the best number and time to reach you if further information is needed? Im not sure if you are still answering question on the FNSKU portion of this thread. I am slightly confused on how to get an FNSKU for FOB. I am supposed to buy a SKU from a reseller, then change the owner name to my business in the GS1 database. After set up my listing on amazon and wait for my FNSKU to be made. Is this the correct order? That is a wonderful clarification. I appreciate it very much! I’m reading through the case studies again making sure I’m not forgetting anything. What popped out in this particular post was the issue of ‘listing hijacking’. Isn’t that what we’re all doing though? We go out, find a niche with poor listings, beatable copy, good profit potential, and bring a better product to the market. Despite enhancing those areas, we are still essentially selling the same thing only marketing it to display higher quality all around. Joel suggests reporting the listings. Wouldn’t that mean Jungle Stix would infringe on Blazin’ Sticks, Grillin Sticks, etc or any other combination? The only thing differentiating the actual product is the listing themselves. You are correct in that private label sellers don’t “reinvent the wheel” completely, but the difference is when you do it right, you source your own version of an existing product that has demand, and list it under your own brand, with your own logo, and you create your own product listing. Hijacking is typically when someone piggybacks on your product listing with your exact product, or a cheap counterfeit version, and may use some or all of your brand identity on the packaging. They then compete for the buy box on your listing, dilute your sales and usually force the price down. As you can imagine this is a problem. This is why it’s so important for serious sellers to consider getting trademarked and entering Brand Registry, which gives you the protection you need to prevent this, and put a stop to it if it does happen to you. Hello and thx for the awesome webinars. In my case, it’s just a single box to start with (first product). I believe that when you provide the Source Address in the shipment process (the supplier address), plus the size & weight of the box/es, Amazon calculates the total cost of shipping base on the information provided for you. I mean, from the physical address of the supplier to AMZ. So, I can tell to my seller … check with (UPS, DHL, etc) because I already paid for the shipping. Of course, they can check that once I send them the FNSKU label I print out from the listing. Don’t we need to create a seller account before that, when we add the product and create an fsnku that we need to send to the supplier to put on the package? Isn’t this early in the process, after signing contracts with supplier? Speaking of the bar code, is this printed on the box/package or created as a separate label/layer that is glued to the packaging? You are correct, you will need a seller account (you can sign up for free) to add the product and get an fnsku. The bar code is printed on the packaging, or you can have your supplier add a sticker to the packaging. Hope that this helps! When is the best time to start my seller account? I’m in the process of emailing suppliers. You really just want to start your seller account when you need to find a distribution center to ship it to, so you can wait a little while until you need a specific address to send to your freight forwarder. hope this helps! 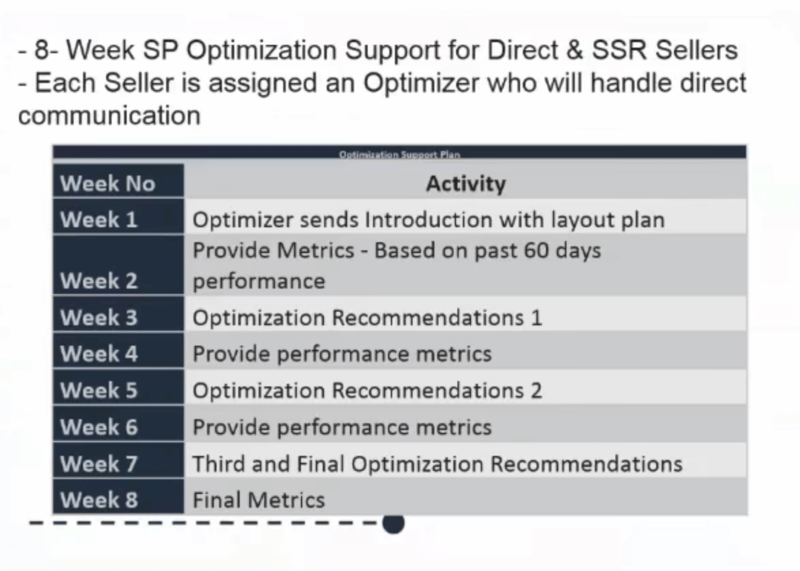 I wanted to ask you to expand on the 8 week optimization support program. You would need an Account Manager at Amazon to access the course that Joel mentioned. 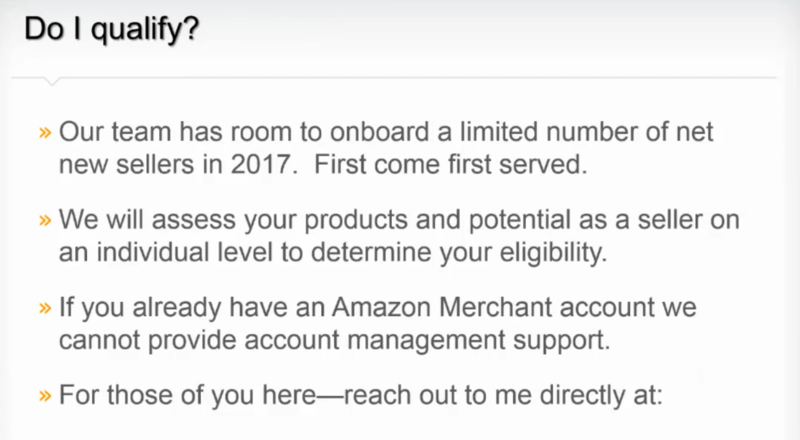 To qualify for an account manager you cannot already have an Amazon Merchant account. If this applies to you, you can reach out to Joel (there is a link in the post) and he will check whether you match the rest of the criteria. If you do, then you may be able to access the 8-week program that Joel mentioned. This is not a Jungle Scout program, it is offered as a free service by Amazon to qualifying sellers. Support letter from brand owner, manufacturer or publisher to prove that they do not provide a GTIN for the products, or a list of sample products for review. We need a website link to view the products. If you do not have a website, nor does the brand or publisher has it, you can upload pictures to an online image service and provide us with the link. Seems simple enough – you’re the manufacturer, just send them a “letter” with pictures of your products and tell them you don’t want to use a UPC for your GTIN, instead, just want to use a model number. Does getting the GTIN exemption mean that a trademark isn’t needed right away? Usually, you need to purchase a GTIN in order to generate the FNSKU in Amazon so that you can label your product for their warehouse. If you don’t want to do this, then you could apply for a GTIN exemption. You don’t *need* a trademark right away, but you will need a registered trademark if you want to apply for the new Amazon Brand Registry. You can read more about both topics here! First want to say thank you for taking the time to do this Case Study, and to do it FREE! I have a follow up question to this webinar by Joel Lentz, “The Amazonian”. I just put my deposit on my first product from China, and I have a follow up question about the Trademark issue for Brand Registry. In an earlier webinar, Greg mentioned that Amazon does not like bar codes from places like SpeedyBarCodes because the UPC is not assigned to my LLC. So he would just Brand Register the product and use the model number as the identifier. Now that a Trademark is required for Brand Registry, what is the plan? I don’t mind applying for a Trademark, but that may take some time. I don’t mind going head and purchasing a GS1 Bar Code, but I already have my package design with my FNSKU and it has been sent to the manufacturer in China. Can I change my UPC? I would assume this can be done by emailing SellerCentral, but will it change my FNSKU? Sorry, I know that is a lot of questions, but I’m just trying to avoid any issues with an incorrect bar code. I think it may be easier to address now rather than wait until my product is here and in the warehouse. All of my questions may not matter if Amazon decides to accept a pending application to the USPTO. We could just apply, wait approx 5 days for the application to appear on the USPTO website and then proceed as Greg mentioned earlier. That’s the direction I am thinking of going at the present time, but I am just curious if you have any ideas or know of another work around? Hey Brian! Thanks for joining us for the case study! We’re in the same boat as you, bought the UPC before the changes. I don’t think its a big deal to have a non-GS1 UPC for a few months while waiting for a trademark but I’m not really sure – time will tell. We’ll keep you updated in the process as we find out more but for now I’m just going to push forward with the non-GS1 barcode, I’m not too worried about it. Seller Central may change your UPC if you ask them, I’m honestly not real sure. Thanks!